TME has enriched our offer with 8 new infrared cameras from the Performance series that offer good image quality at a good price. Compared with the old cameras, the new series captures up to 2.5 times more pixels and provides up to 70% better spatial resolution*. This allows you to see more details. Thanks to the FLUKE Connect® application, compatible with Android and iOS, the cameras can transmit image in real time. Smart battery with LED charge indicator allows you to see the state of charge without the need to turn the camera on, and its capacity allows for non-stop work for over 4 hours. 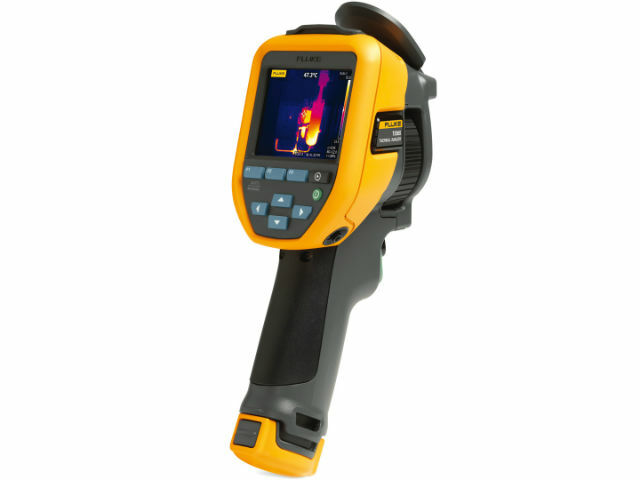 Full-IR images let you perform a detailed temperature analysis. All cameras are quipped with a 3.5” 320x240 LCD display, and their ergonomic design allows for using a camera with just one hand. Thanks to a rugged enclosure, ability to withstand free fall from 2 m, and IP54 rating, these cameras can be used even in rough conditions. support for microSD memory cards. * Compared with FLUKE Ti125 IR camera. ** Depending on the model.